" We understand what we want to understand. Leaving a life of privilege to strike out on her own, Lauren Durough breaks with convention and her family's expectations by choosing a state college over Stanford and earning her own income over accepting her ample monthly allowance. She takes a part-time job from 83-year-old librarian Abigail Boyles, who asks Lauren to transcribe the journal entries of her ancestor Mercy Hayworth, a victim of the Salem witch trials. Almost immediately, Lauren finds herself drawn to this girl who lived and died four centuries ago. 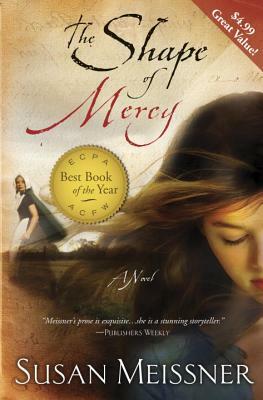 As the fervor around the witch accusations increases, Mercy becomes trapped in the worldview of the day, unable to fight the overwhelming influence of snap judgments and superstition, and Lauren realizes that the secrets of Mercy's story extend beyond the pages of her diary, living on in the mysterious, embittered Abigail. Susan Meissner has been feeding her love of writing all her life. Her first novel, "Why the Sky is Blue, "was released in 2004, after she resigned her post as editor for a local newspaper in a rural Minnesota town. Since that time she has had several books published and moved to San Diego, where she lives with her family.